Constance and Steven were my second couple that were planning their wedding from afar (Jen and Buzz were the first couple). 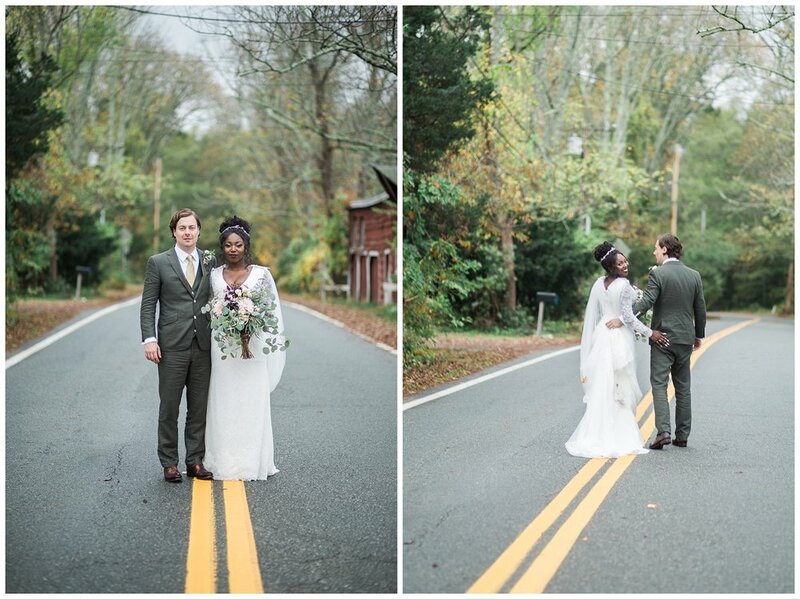 These two are from California, and did an awesome job planning their wedding in Rhode Island. 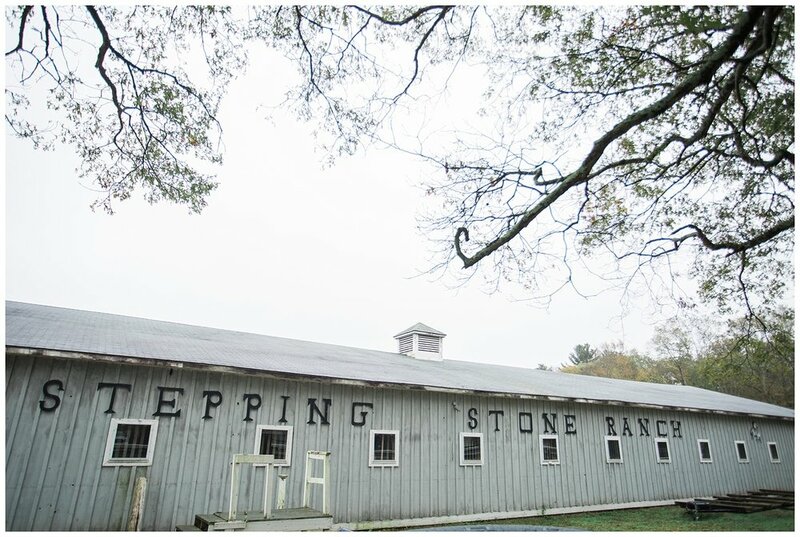 When I arrived at Stepping Stone Ranch on their wedding day, there was a sea of fog everywhere. It made the entire area look a bit spooky and mysterious. While the guys were getting ready and people were arriving luckily the fog lifted a bit and we had a break by the time the ceremony rolled around. When Constance and the bridesmaids arrived, they got out and then Constance changed up her ride. 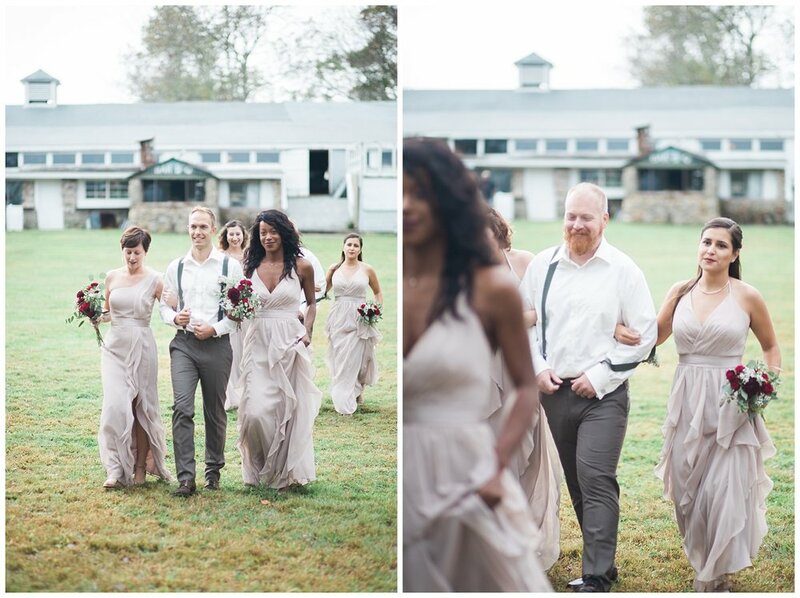 The ground was kind of wet and muddy, so Constance had the idea of pulling up to the aisle in a white convertible. By the way, this was one of the coolest entrances I have seen to date. After her amazing entrance, Constance's cousin Julian officiated their ceremony. This is something I really love, when the officiant knows the couple really well. He talked about their relationship, and the first time he met Steven. 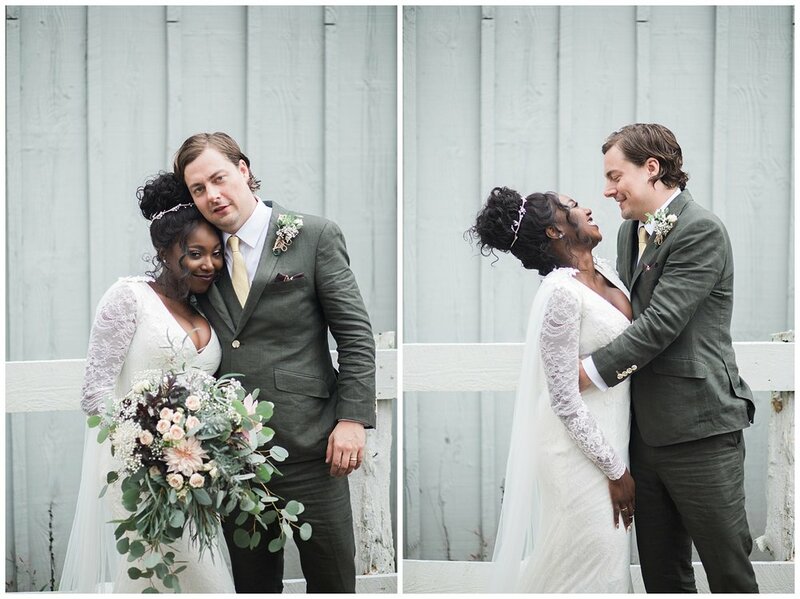 These two then shared their personal vows, which included the story of their first date in which Constance was running late but Steven just knew she was worth the wait. Their first date story was so charming and you can just see how these two balance each other out, each one of them are a great complement to the other. After the ceremony, these two left in their white convertible and it looked just like a fairy tale. We did a few portraits of just the two of them before heading back to the others. They just looked so happy and full of love. One of my favorite parts of their wedding day was after their entrance to the reception, when they did their first dance. They did their first dance to the song, "Perfect Day" by Lou Reed. I loved this because this song is a meaningful song to my boyfriend and I as well (he put this on a cd he made me at the start of our relationship). So seeing this song used as a first dance song, made me tear up a bit because it is such a beautiful song (that means a lot to me as well). The speeches by the Best Man, Blake, and Maid of Honor, Wendy, showed just how well these two friends know this couple, and just how much appreciation they have for their relationship. It was incredibly sweet. After the speeches, there was a break for dinner, in which we snuck Constance and Steven out for a few sunset photos. After dinner was when the real party started, this group had so much fun on the dance floor. This group didn't have to be asked twice to get on the dance floor. Everyone was up and having fun.